The similarity of Japan’s values ​​and modernism which both respects simplicity, is a great concern for Japan who imported modernism. Concerning the eyes from outside is something that can not be easily dispelled for Japanese who inported the modernity in the Meiji Period and worked hard to catch up the west. This word of Bruno Taut must must have greatly encouraged the early Showa era Japanese architect who suffered between tradition and modern. Leonard Kohlen’s “Reading Wabisabi” (2014) is also an inexhaustible letter for Japanese who care about the eyes from the outside. 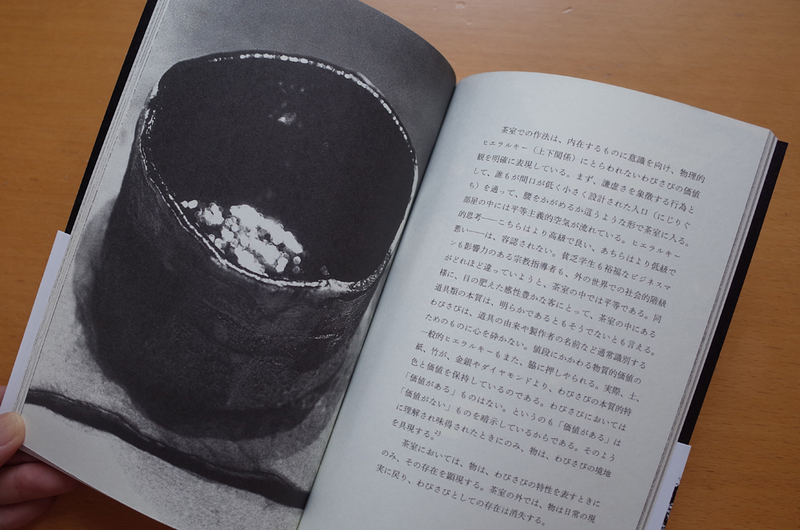 The Book is a Japanese translation of the work published in the United States in 1994 and caused the “Wabi – Sabi” boom in the 1990s. Kohlen explains the reason why it was not until now the book describe “Wabisabi” that is familiar to the Japanese. In Japan, understanding the “Wabisabi” through the history and logics was intentionally inhibited. The background is that there is an influence of Zen’s thought of understanding without letters and words. An aesthetic ambiguity that asserts that the value that can not be replaced by words. It is under this influence for a long time therefore Japanese who can not speak well about it but understand it sensuously, and author tried to languageize from the view of foreigner. And this attempt has been very successful. It is interesting that its similarities and differences are explained in contrast to modernism. I compiled a comparison of the differences. For example, the difference between “substance”, modernism idealized the perfect materiality, contrary in Wabisabe perfect non-material is ideal. Concept of Wabisabu is “a longing for nonreality”. It is essential to understand Wabisabi substances and reality actually exist. Recalling the words of Kengo Kuma’s “Anti-Object”. Minimization of material and minimalism are different concepts, minimalism is a simplification of form, abstraction. There is no hatred of the substance itself. Even though that there is minimalism in modernism, minimization is weak. (Kengo Kuma Anti-Object 2000). Kengo Kuma has aimed for minimalistic materiality by overturning common dimensions and cross sections of buildings while using natural materials such as stone, wood and ceramics. “The substance is agglomeration of time, time is built in the substance, it is folded like a pleat” The time is exposed and material is erased by reducing the volume of material. Kuma explains the meaning of his method by using the definition of substances by Leibniz and Deleuze. The elimination of materiality was not limited to Kengo Kuma, it was also a strategy common to Japanese architectural designs through the impasse of modern design and the subsequent feast of postmodernism. 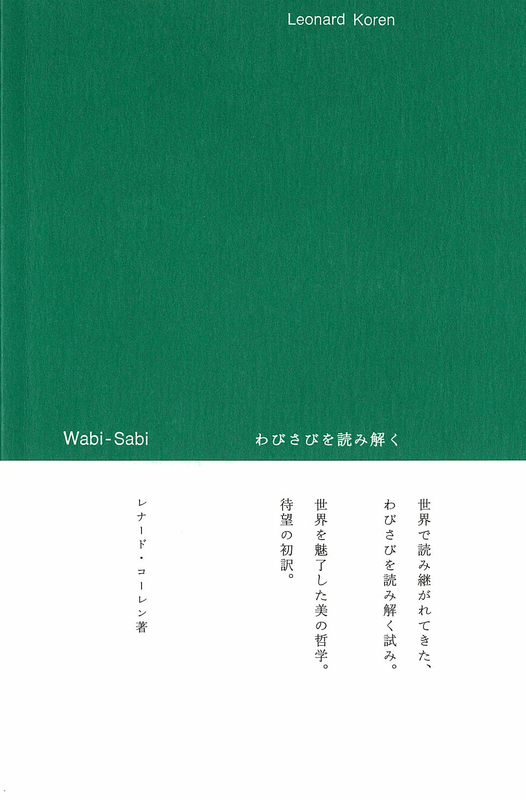 According to this book, it can be said that it is an attempt to overcome the limit of modernism by the value of Wabisabi. It fits into the bottleneck of modernism and modern era does not stop seeking perfect materiality. The desire for eternal newness, efficient urban planning and land use, universal space, fine buildings, etc. are the products of the perfect material we have sought. Even if we minimize the material properties to the limit, architecture as a substance, architecture as a material still remains. After all, the strategy of erasing materiality is also inside of the modernism. However, there is no perfect materiality and perfect non-materiality does not exist. Both of them are “ideal” and they are figures of “longing”. Wabisabi is the result of perception and attitudes that blend together in the mind and ties the statue” (Kengo Kuma’s “Anti-Object”). Wabisabi is a matter of the subject rather than an object. The elimination of materiality at the object level is an approach to the awareness of the subject. If the subject changes, the world will change. Wabisabi teaches so. Today, Leonard Kohlen explains why Wabisabi is important as follows. Wakabisa expressing “delicacy of infinity” can not be expressed in digital that reduces to “0” and “1”. “0” in digital is a barren sky, but the Wabisabi sky is a concept of “possessing potential possibilities for existence”. Wabisabi is the ability to understand and sense subtleness and exquisite which should be present in “real life”, and if we lose it, “our world will shrink” And express its concern. Wasabi is full of hints that will unleash us from the stagnation of modernism that is biased towards materiality. Finally, aside from Mr. Leonard Koren, author of this book. After studying architecture at UCLA, he is said to be a Japanese American who founded a counter culture magazine called “WET Magazine” in the West Coast of the United States in the 1970s. I will probably say that because it can not be confirmed, the author seems to have the same name as the same name who serialized the column “from the West Coast Republic” at the Japanese magazine BRUTUS in the early 1980’s. On the west coast there is a cocaine tea ceremony in which cocaine is sucked by the traditional tea ceremony tradition of Japan. Do not know if he is lying. But that unique, drifting atmosphere of the west coast, with the scent of the 60’s counter-culture has left certain impression for sure.